Durability - 250 lb. capacity, 18" diameter, 24" wide. Performance - Has a scraper bar to prevent clumps of soil from being compacted on the roller drum. Easy to Operate - Roller drain/fill plug empties easily and fills with a regular garden hose. 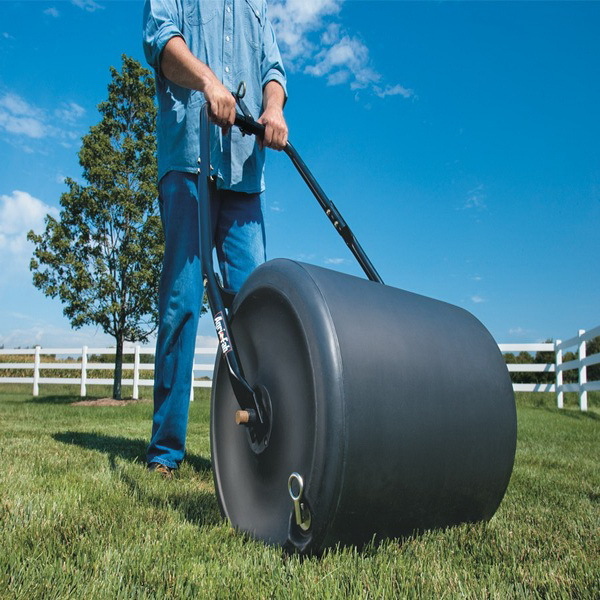 * Please call us for any questions on our lawn roller push 250lb cap rentals in Kokomo IN, Logansport, and Central Indiana.